Many older cranes are found to need eletrical overhauls to improve function and decrease down time. At Simmers we can assist with anything from the most complex electrical projects to something as simple as taking a manual crane system and converting it to all electrical operation. 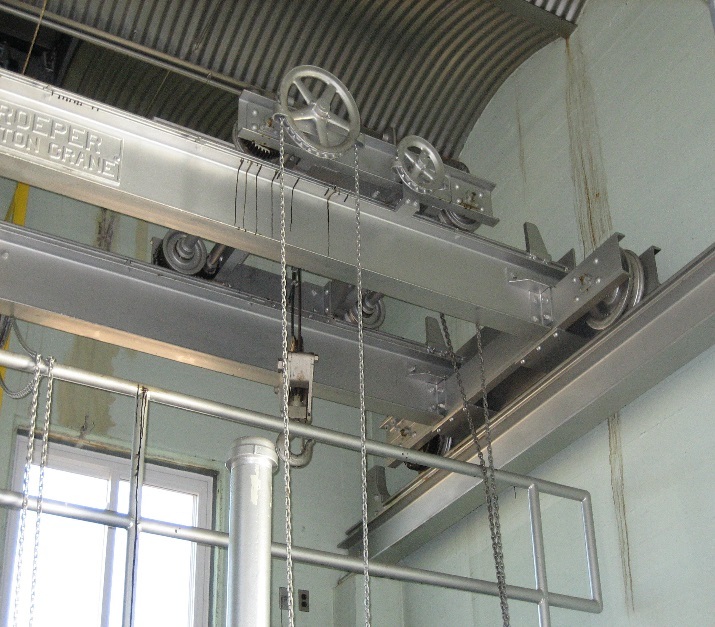 Shown below is one example of a previously manually operated crane that Simmers converted to all powered operation. Now the bridge, trolley, and hoist can all be controlled with the push of a button. 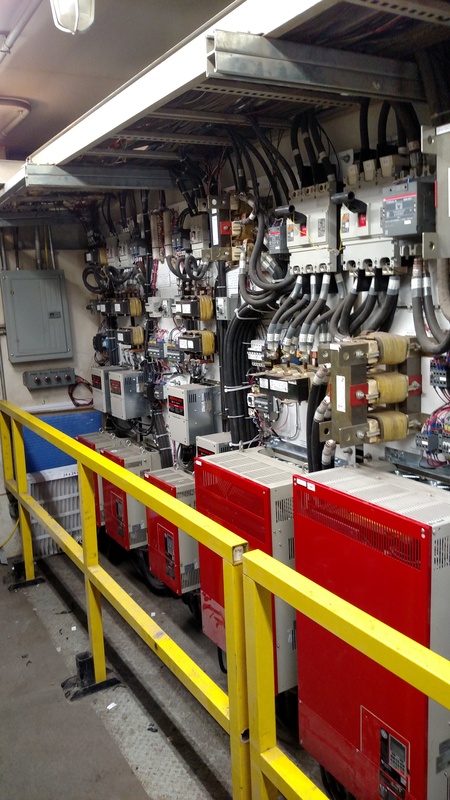 A major steel mill melt shop owner contracted Simmers Crane to engineer, supply and install a new control system to replace an outdated static stepless control arrangement. Maintenance costs were up and reliability was down. That, along with scarcity of replacement parts and very short supply of technicians that are qualified to troubleshoot the complex system, led to complete replacement. The redesigned system added greater precision to the control by way of variable frequency drives. 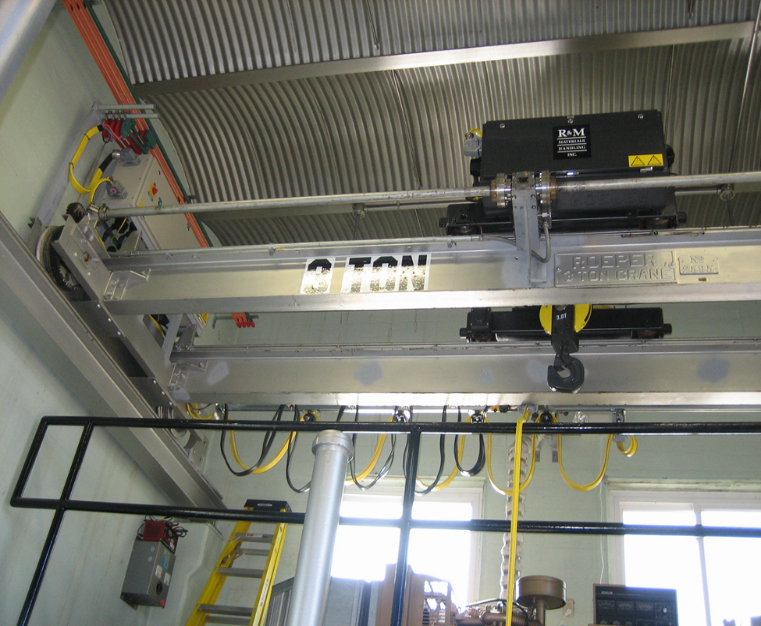 A custom dual motor, load sharing drive train added reliability and safety. The field installation was performed in a planned shutdown and was completed on schedule.